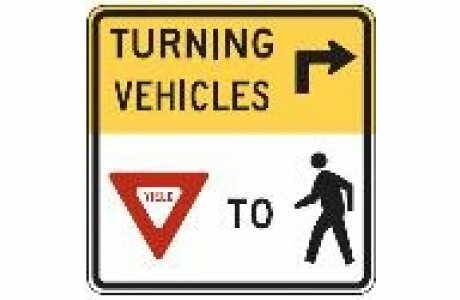 Dual R3-1 & Yield to PED 24"
We offer both blank out signs and internally illuminated signs to support initiatives to reduce pedestrian fatalities. Blank out signs are integrated into the intersection signalization. 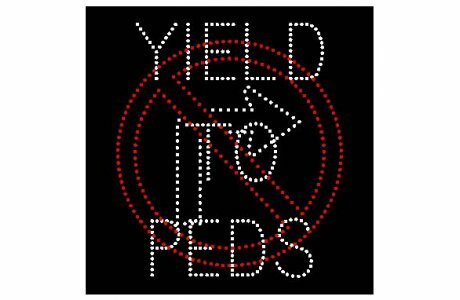 Typical displays alternate between NO RIGHT TURN and Yield to Pedestrians. These messages can be text or symbolic. 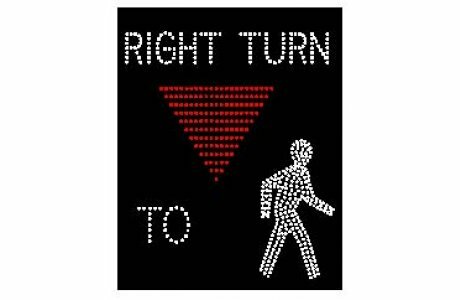 Regulatory signs are always visible, but illuminate at night. 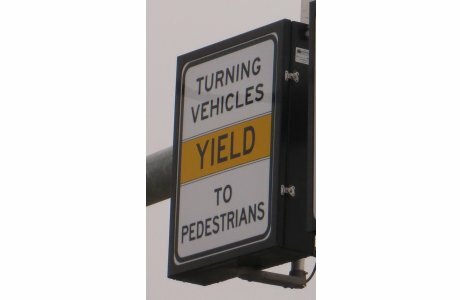 A typical application is for crosswalks, but they can also display the R10-15 Turning Vehicles Yield to Pedestrians. To talk with a Southern representative please call us at (800) 866.5699 or email us at Southern Manufacturing.